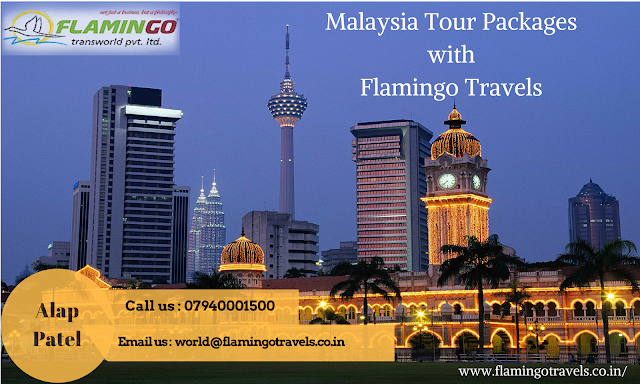 FLAMINGO TRAVELS: Book Your Dates For Bali Tour - Fly To Bali At Cheap Rates! Bali, located in the heart of Indonesia, is one of the most popular and highly rated islands. Among 17000 islands in Indonesia, Bali is the most mesmerising tourist location. Hundreds and thousands of tourists visit every year to soak their mind, body and soul in the beauty of Bali. Although the city was entirely destroyed in the puputan massacre of 1906, the Denspar Bali has been rebuilt and given the title of capital city of Indonesia. The land of Bali has been truly blessed with the most beautiful sceneries, white sand beaches, green lush hills, royal palaces, temples and much more. Tourists visiting Bali tour feel like their home and enjoy spending time. If you love water sports like snorkelling, boating, swimming, diving or surfing then you will enjoy the most in Bali. You can take a warm sun bath in the beaches and enjoy cool fruit juices. For those who enjoy shopping, Bali has a dedicated street for shopping named as Kumbasari market. You can find shops and local road side street sellers to buy good quality stuffs in cheap rates. You always have the scope of negotiating on rates so keep bargaining. The market is open for 24 hours a day so there is no end for your shopping. For foodies, there are several roadside food stalls and local restaurants where you can enjoy the famous delicacies of Bali like Babi Gulang, roasted suckling pig, Bubur Sum-Sum rice, etc. You can try some of the lip smacking dishes at Chandi restaurant located in Seminyak or the Cascade restaurant. For people who wish to drink and be merry all night, Bali has several options to make your night more exciting. Visit the Kuta beach and enjoy the options available at number of bars and clubs at the location. Choose cheap Bali tour packages and hotel accommodation by which you can save money on packages and spend at the local clubs! People who are interested in arts and culture of Bali, you can enjoy the beautiful scenario of royal palaces and temples. You can also find a number of Hindu temples as there are many Indians living in Indonesia. Bali has a rich culture and heritage which you can easily find from their art, music and architecture. Bali people have a mix culture of Balinese, Hindu and Buddhism. In fact, it is the majority of population in Bali is Hindu. We can also say that it is the most populated Hindu island in the world. The climate condition in Bali is warm and comfortable all around the year, so you can plan your travel any time.Choosing a cheap Bali tour package and booking hotel accommodation will help you in getting better discounts. While you plan your travel, check the event calendar of Bali and look for the best dates. Some of the famous festivals like Kuta Carnival, Kite Festival and Sanur Village festival are worth visiting. In simple words, spice up your life at Bali.